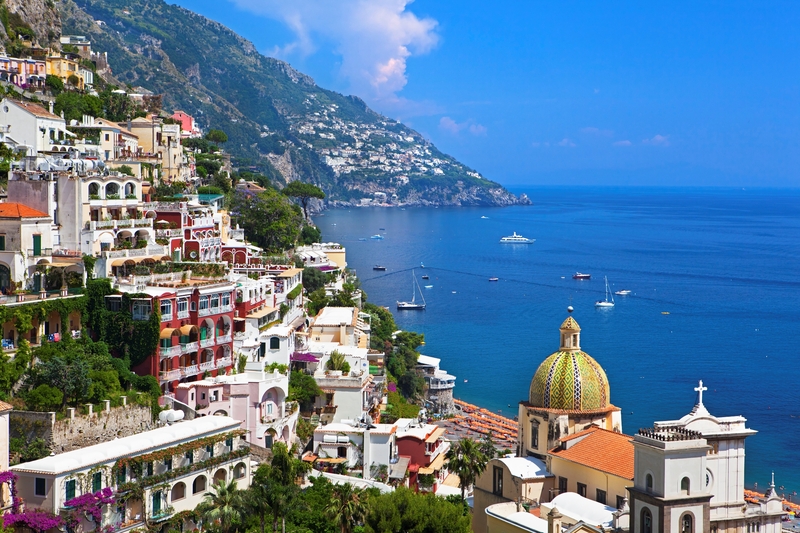 Positano is known as the jewel of the Amalfi Coast. Just one glimpse of this town and you understand why. 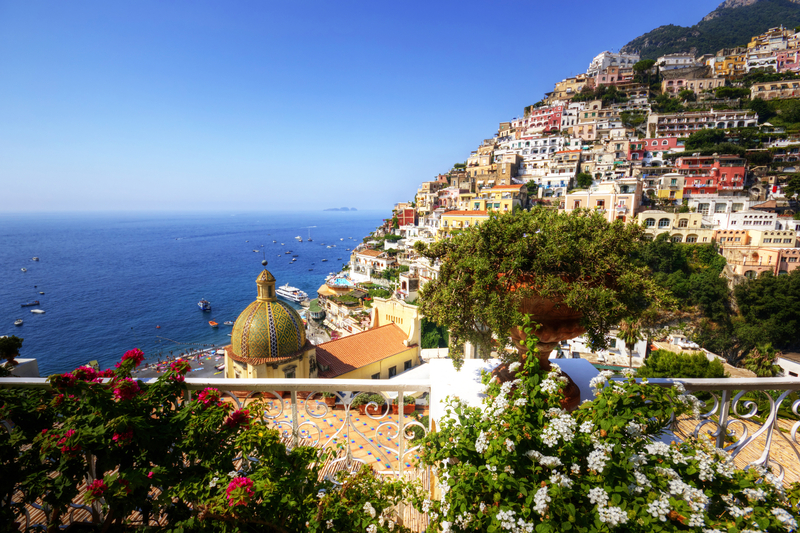 Positano is a vertical town with beautiful colorful buildings climbing from the beach below up to the top of its steep mountain side. Roads are replaced by little paths and cascading steps. 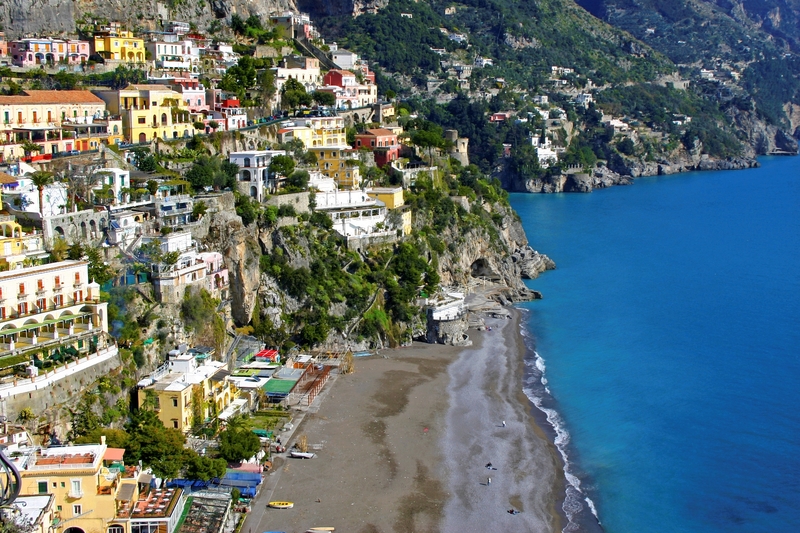 Positano has been the setting for many films and the inspiration of Authors and song writers. In fact Mick Jagger and Keith Richards wrote the Rolling Stones song “Midnight Rambler” while enjoying a holiday in Positano and relaxing in one of its many cafes. 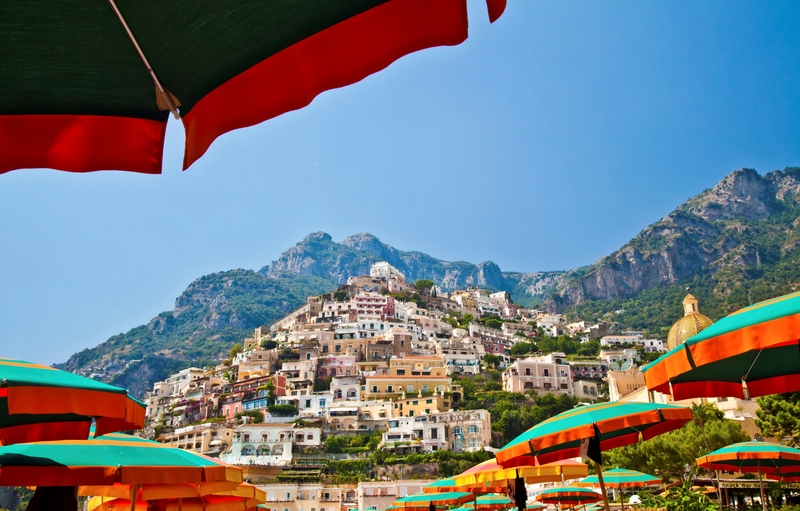 Shops and boutiques line the many streets with designer fashion that Positano has become known for. It’s name is Positano fashion beachwear. There are many shops that make handmade products such as clothes, pottery, linen and sandals. The name of the town dates back to the sea god Neptune.